Somewhere today a valued company employee, identified by senior leadership as a “coming star” will voluntarily walk away. Disenchanted – disengaged – disenfranchised. In another organization, a series of new hires – ideally prized in the interview process – will fail to make the grade. They will cost their company millions. 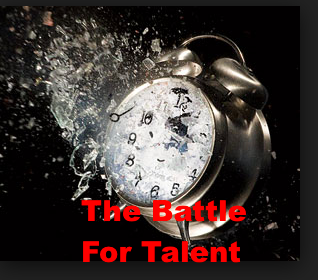 Another firm – unprepared for the challenges that will confront their employee base and mired in “yesterday thinking” will fail to move the needle in sourcing the athletes needed to compete. Too late they will recognize they haven’t considered the future at all. Not your company – right? Think again – the epidemic of disengaged employees – either poorly sourced, poorly trained, or poorly led – is growing, not diminishing. I consult with companies and senior executives on a host of subjects around the subject of People, Leadership, and Culture. When the topic turns to the centerpiece – Leadership, I encourage our clients to take a step back and consider three very simple Critical Success Factors. Assemble individual contributors into a cohesive team whose whole exceeds the sum of its parts. That simple. We can break leadership into a million dimensions but at its root every successful practitioner is a master in these 3 elements – and they form the basis for either a long lived and thriving company – or failure. That first element has become increasingly important over the past few years as the battle for talent rages in this country – even as unemployment rates drop to record levels. The reality is that in many industries we have what amounts to a “buyers’ market” where talent can – and often does – travel easily. Add to that the emerging “Millennial Factor” – a generation of global workers more inclined to seek legitimate purpose – and less likely to simply “stay put” because of some assumption of organizational loyalty. Best in Class companies recognize the cost of attrition – and even more important, the deadly impact of employee disengagement on profitability – but deciding HOW to source, recruit, and hire remains – for many – a shot in the proverbial dark. News flash – for those determined to simply “wing it” over the next decade that room will grow much, much darker. So – if we agree that sourcing legitimate talent is either an umbilical cord for future success or a strangling vine that leads to devastation, what are well defined steps senior leaders (and their direct reports) should be considering as regards onboarding their company’s future? Assessing the scope of your current organizational/industry need– and balancing that against the needs you anticipate over the next (at minimum) 5 years. How does your “need statement” correlate with your current hiring practices? How has your recruiting process morphed over the past decade – if at all? How have you balanced skills and character with the culture you’re building – what and how will you factor that in your needs assessment? Building an accurate Job Document that describes the position(s) you are hiring for in behavioral terms. When was the Hiring Profile last updated? How does your company evaluate “hire success”? Where are the circles of excellence as regards individual hiring managers and why do they exist? What can be learned from these individual contributors? Where have your upper tier candidates been sourced – and how are you leveraging that area based on the success generated? The battle for employee talent will only grow – our Millennial generation will represent 75% of the workforce by 2025. Companies serious about planning their future are investing disproportionately in sourcing and hiring top talent. Those with an eye on strategic advantage are taking one more step – retaining that talent. The cost of Employee Turnover was once estimated to be some 6 to 9 months of salary for that worker. The reality is it is exponentially higher in most industries – and climbing. The decisions we make in the interviews conducted in 2019 will ultimately spell our success in 2024 and beyond. Strategy ultimately comes down to the intelligent investment of limited resources in a unique set of activities to attain competitive advantage. The Unique Activities outlined in the 5 critical components above represent a start – but ONLY a start for those committed to a successful future.